Random Things! | You can find almost anything! Yeah… not really, use Google. Are we even human beings? Now we’ll laugh out loud. Or do you see me? For the way their ludicrous life turns out. Which only created more cruelty and hate. Then who is at fault when your life was tame? Where does the chain of hatred start? When does it get embedded in our hearts? While some succumb to the fear? Let’s not forget about the birds and the bees. Is it a condition of human nature? For what joy is there in power over other creatures? 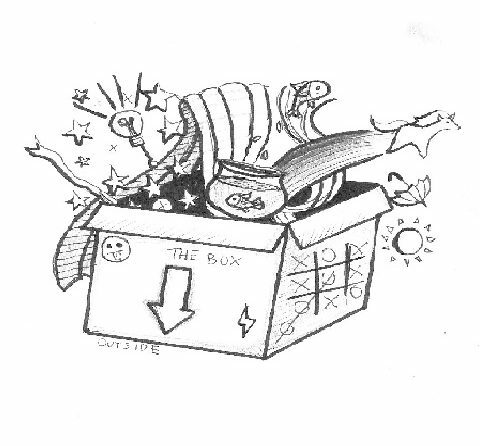 Is it a part of our heart that can be fixed? Or simply a shadow with whom we are transfixed? He’s quite aware of what a horrid human you may already be. If you live in South Mumbai, driving up to the Chhatrapati Shivaji International Airport is an ‘experience,’ especially at night. As you make your way to the airport, you cross Marine Drive, or the Queen’s necklace, as it is called due to the string of lights that create the image of a pearl chain at night. A popular spot for people of all ages to for enjoy a walk or just sit and take in the sea breeze. Marine Drive connects Cuffe Parade to Breach Candy, shortening the time it would take to drive to the airport. Once you get through Worli, you are met with the majestic Bandra-Worli Sealink, a transea bridge, which provides you with a beautiful view of the Mumbai skyline. Finally, when the car first pulled into the Chhatrapati Shivaji International Airport, I was floored. India is a culturally diverse country teeming with architecture from both present and centuries past, but I have never seen a modern piece of architecture as grand and majestic. Lit up in the distance, I could see tall, white, towering pillars rising from the ground canopied by a massive roof. Pulling into the airport I could admire the pillars and immediately recognized their resemblance to India’s national bird, the peacock (though the white color of the concrete is more like a peahen, a multicolored pillar probably would not have looked as sophisticated). I could continue ad nauseam about the interior of the airport, but since I’ve already covered that, I would like to talk about what aspect of this building impressed me the most. In India, most international flights happen at night, due to international flight time scheduling being centered around convenience to major European and American airports. So, if you’ve ever visited this airport, chances are that you have seen it in its ultimate form, a grand showcase of light reminiscent of all the fireworks during the Indian festival of Diwali. The warm and bright yellow lights scattered throughout the airport makes it feel cozy, and almost prepares you for a long night’s journey. If you look at the images above, you will see a lot of floral patterns. The repeated motif of flowers once again reflects an emblem of India, its national flower – the lotus. I believe that these lights in combination with the pillars make the building the architectural marvel that it is. The tall pillars of the peacock represent India’s ability to stand tall on an international level, and the blooming lotuses represent its progress as a nation, and the beauty of this diverse country. At least, that’s what I like to believe. Each corner of this building gave me something to appreciate. This building was masterfully crafted to give passengers the full experience of an airport in a linear and straightforward manner, but it was designed to be a piece art and architecture, to show the world what India is all about. My first experience at the airport was an enjoyable one, but in hindsight I realized that while this building stands as a testament to Indian pride, the project was outsourced to an American company. Can they really capture our culture? Well I think they did a pretty good job with it. (As a sidenote: The walk back from the terminal to baggage claim is way too long, because of the shape of the building). Vasanwala, Batul. “10 Unique Facts About Marine Drive In Mumbai.” Yatra. N.p., 12 Oct. 2016. Web. 26 Sept. 2017. <https://www.yatrablog.com/10-unique-facts-about-marine-drive-in-mumbai&gt;. My first impression of Mumbai Airport was of pure awe. The attention to detail was clearly evident in the rounded peacock feather/tail shaped ceiling. The tall support beams which connected to the ceiling also resembled palm trees. The entirety of the airport, in many ways, clearly mixed in the rich cultural history of India along with the new, contemporary India. The open concept of the airport gave it a modern feel, but also gave enough space to display the cultural identities that India possesses. The artwork and artifacts along the walls gives travelers lessons in history and a glimpse of the artistic contributions from different parts of India. Their website (SOM) is a great source of information for all their architectural projects. But, one of my library sources also included a nice essay on SOM, which I thought was a good read, so I am going to talk about what I learnt from it. The construction of any building is a collaboration. You have the architects, the engineers, the interior designers, urban planners, and the construction workers. If any one of them fail, the final product of the building will more than likely be a failure, therefore I conclude that they are all equally important. Buildings should be designed with context. Be it the context of the era, it’s surrounding, the culture of the country, and so on, designing with context, improves the quality of the design. F Baker, William. 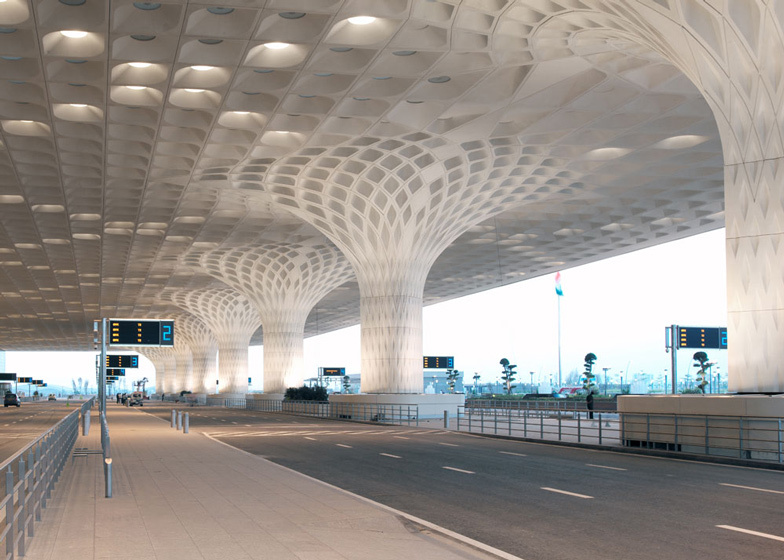 “Chhatrapati Shivaji International Airport – Terminal 2, Mumbai, India, 2014 : [One SOM].” A + U Architecture and Urbanism. 533 (2014): 78. Print. Something I noticed was that the experiences of both passengers were relatively the same. Unlike larger international airports such as the Frankfurt airport which has several terminals interconnected by train, the path through the Mumbai airport is a fairly linear one. This ties into the straightforward layout of the building. Every time you go there you will see the exact same things in the exact same order. While taking away from the general awe of the building once you have already seen it, this layout is much for functional for an airport and more convenient to its passengers. The video above documents an interview with CH2MHill Program Manager Sikander Jain. The Chhatrapati Shivaji International Airport is the heart of modernization in India built with the intent ensure that the people of Mumbai would begin to experience a strengthened and heightened service even while the airport was being built. There were many constraints when building the airport. Asides from land constraints, there were air constraints as they were building the airport while the Terminal 1 of the airport was still in operation. This required a lot of cooperation with air and land authorities and the government, much like the airport itself was a collaboration between SOM, L&T, CH2MHill, GVK, and MIAL all responsible for different aspects of the building. 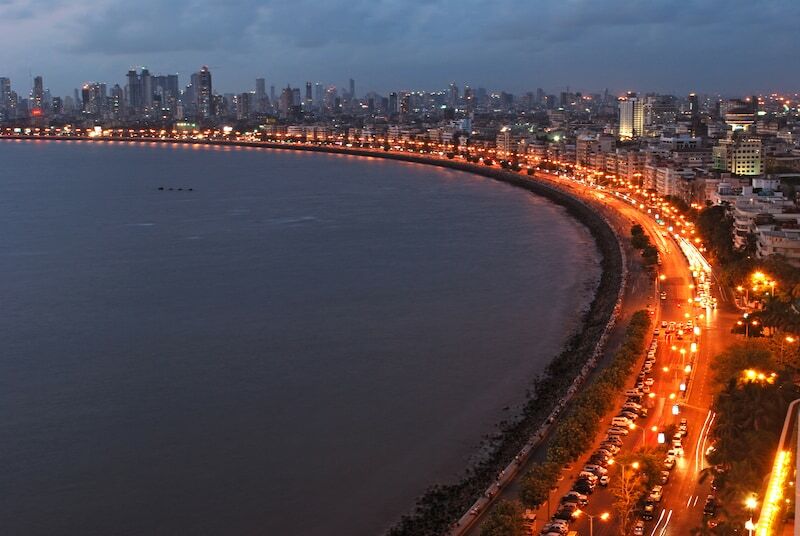 Mumbai is a metropolitan port city set against the against the Arabian Sea. Mumbai has long been a center for India’s trade and commerce with the rest of the world. The time had come for an airport of a caliber that represented Mumbai as a city. And thus, the Chhatrapati Shivaji International Airport was built. This building is situated in Bandra, the commercial and finance district in the north of Mumbai. The setting is completely urban, as you can see the hotels and the residential houses surrounding the airport. If you are travelling to the airport from the south of Mumbai, you generally take the Sea Link, a transea bridge that reduces the travel time to the airport by 40 minutes. The bridge is an architectural marvel in its own right, elevating the sense of grandeur as you approach the airport. Provided below is the aerial view you would see when landing in the airport. You are able to see Mumbai, and appreciate the hills, and sea in conjunction with the developing parts of the city that lie close to the airport. A few miles away from the airport is a slum area that lines a hill with blue tarp, that you can also see from the plane. I find it interesting that India is one of those countries in the world, where the disparity of wealth is so large, that you will find is a mutlimillion dollar airport in close proximity to a slum. The lighting panels above the check-in have a floral theme that will be carried out throughout the airport. There are statues and other pieces of art randomly scattered throughout the airport. Another interesting feature, as could be seen in the previous image, is that the pillars extend to the floor below. This floor is solely dedicated to arrivals. So even when you arrive at the airport you get to appreciate the magnificence of the pillars and the canopied ceiling. Ein Baldachin für Mumbai – Chhatrapati Shivaji International Airport Terminal 2 = A baldachin for Mumbai – Chhatrapati Shivaji International Airport Terminal 2, [SOM}. Chhatrapati Shivaji International Airport – Terminal 2, Mumbai, India, 2014 : [One SOM]. 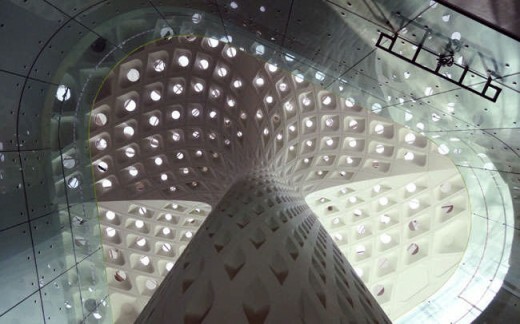 Chhatrapati Shivaji international airport terminal 2, Mumbai, India: Skidmore, Owings & Merrill. Besjak, Charles. “Ein Baldachin für Mumbai – Chhatrapati Shivaji International Airport Terminal 2 = A baldachin for Mumbai – Chhatrapati Shivaji International Airport Terminal 2, [SOM}.” Detail : Zeitschrift für Architektur & Baudetail & Einrichtung. V2016. 4-6 (10/01/2016): 604-610. Print. F. Baker, William. Sarkisian, Mark.”Chhatrapati Shivaji International Airport – Terminal 2, Mumbai, India, 2014 : [One SOM].” A U Architecture and Urbanism. 533 (2014): 64-79. Print.